One of the applications Nike will roll out is Bluefinder, a search engine containing pre-screened raw materials, textile preparations, and other chemical components designed to enable suppliers to effectively manage restricted substances and increase water and energy efficiency. Another tool at the Nike’s disposal? The Blueguide, a database of more than 30,000 Bluesign-approved fabrics that meet the firm’s criteria regarding resource efficiency and environmental impact. Nike’s relationship with Bluesign will allow it to put a “set of positive chemistries in the hands of materials suppliers,” says Hannah Jones, vice president of sustainable business and innovation at the company. The timing of the collaboration couldn’t be more fortuitous: Nike was among the companies implicated in a 2011 Greenpeace report about heavy-metal pollution in China’s Yangtze and Pearl River Deltas. Nike responded to the revelation by accepting the environmental nonprofit’s “Detox” challenge, with the company pledging to eliminate all hazardous chemicals from its supply chain and products by 2020. Nike has thrown in its lot with one of the world�s most stringent textile standards for environmental protection, health, and safety. 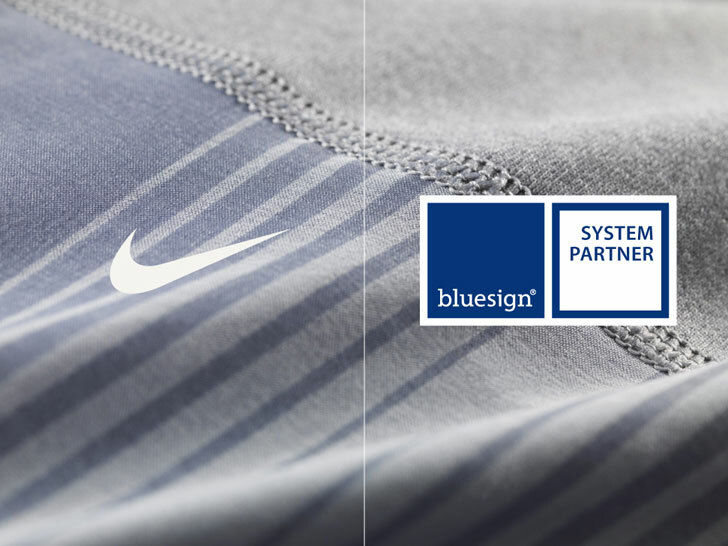 The sportswear giant announced on Monday a new strategic partnership with Switzerland-based Bluesign to "accelerate the supply of sustainable materials and chemistries" for use in Nike products. The agreement, according to Nike, will allow its global supply chain, which spans nearly 50 countries and more than 800 contracted factories, to access Bluesign's key assessment tools and data at an "unprecedented scale and pace."